Hello, guys! I am Jadirah Sarmad from the Jasmine Catches Butterflies blog and today I am doing a little takeover for Safiyah while she puts up some awesome videos on her channel for all of us. So Spring is here and it is my favourite time of the year. The weather is lovely and cheeriness that nature brings with the season is contagious. Therefore, today I have a Spring inspired makeup platter for you guys. Now, these are are some of my go-to products at the moment. I have tried including everything other than base products as those depend on personal preference and do vary skin type to skin type. I only recently got my hands on this palette but it is one of the nicest launches of the season. Nicole is a popular YouTube beauty guru and her collab for this highlight palette with Anastasia made me swoon. All of the shades are just so pretty and I find most of them to be wearable for my medium/olive complexion. I thought Day Dream, which is an orange coral would look over the top, but it is not at all bright and popping, rather nice and light for medium to deep skin tones and can be worn as a blush topper by anyone. Forever Lit on the other hand, is too light for me to wear on a daily basis but it can be layered. This shade would suit someone who is fair and can be used for creative makeup nonetheless. The pigmentation of this glow kit is spot on and it blends out beautifully. You can play around for a subtle as well as an intense highlight by being light handed or packing on product. My only gripe with this palette is that it contains a little bit of glitter which can look weird in places. However, this is not too much of a problem and it would not stop me from wearing these as otherwise the shades do all look gorgeous upon application. 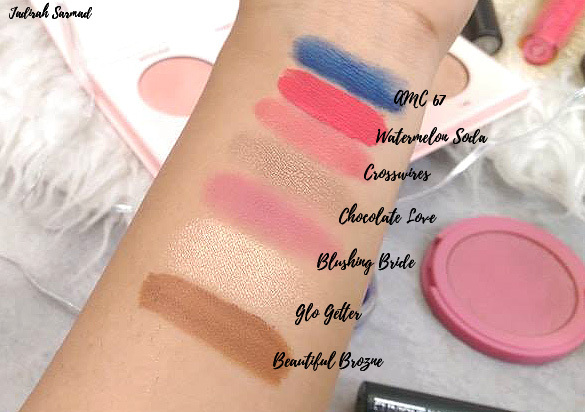 I've included a swatch of Glo Getter above, do check out my full swatches and review here! 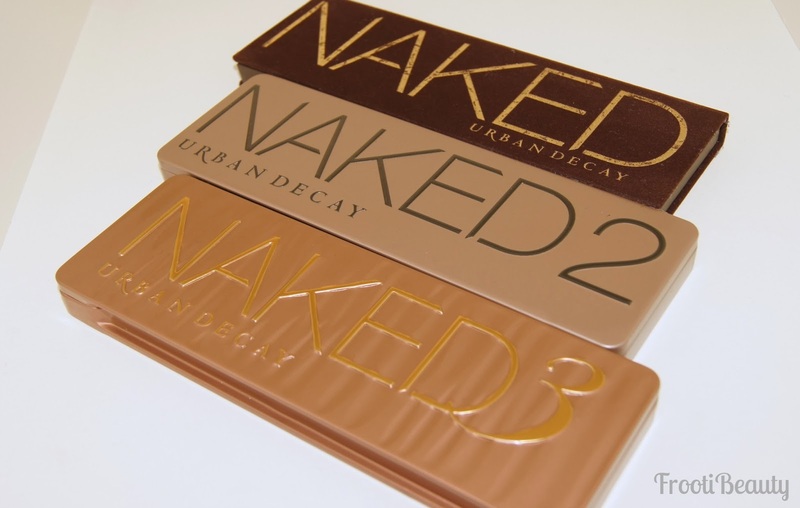 This is a dupe for the infamous Too Faced Chocolate Bar palette but it is a steal for the price and I like the packaging of this one better than the original. I love this palette because it contains a nice mix of neutrals, pastels, and dark shades and can be used for everyday makeup looks. There are six matte shades which are all soft and offer a good colour payoff. The remaining ten are shimmery with the light ones being satin while the dark ones having a little bit of glitter. Everybody just keeps raving about Tarte blushes, no? I caved in after years and years of hearing good reviews of this product but was a bit taken aback as I personally did not find it to be buttery and pigmented the way I had expected it to be. The reason why I have included this blush in the platter is because the shade itself is gorgeous and even though it does take a little bit of building up for me, it is nice for a light flush of colour. I can see why somebody would a fair complexion would actually really like it even though it is one of the darker shades. Now since I already have a nice tan, I can get away with one of the shades from the Nicole Glow Kit as bronzers and perhaps you can too. 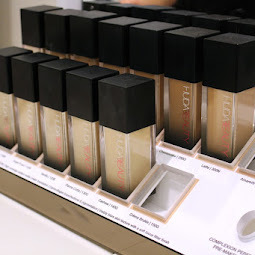 However, for contouring, I like to use this L.A Girl Pro HD Concealer in the shade beautiful bronze as a cream base and then I top it with a darker, ash toned face powder. Toast is one other shade that is really popular for cream contouring but since it was out of stock, this seemed like the next best shade to pick. It adds a nice depth to my facial structure and even though it dries quickly, if you work little by little, using a damp beauty blender, it is pretty easy to blend. Hands down, Jeffree Star Velour Liquid Lipsticks are definitely in my top three favourite liquid lipstick formulas. I own four shades at the moment and even though there are some inconsistencies, I still find all of my lipsticks easy to work with. They are comfortable to wear, do not over dry my lips, can be layered without flaking and are long lasting too. Watermelon Soda was a Limited Edition shade from last summer and I think Jeffree might relaunch it this year as it was really popular. The shade is true to its name and is a neon pinkish red, which looks so flattering and exotic. I find it to be just a little patchy in comparison to Gemini, Rose Matter, and Unicorn Blood. However, like I said it can be easily layered so this is not a deal breaker for me. The shade is versatile enough to be used as eyeliner too. Oh, and let's not forget that I love the yummy Jolly Ranchers scent it has. If you are not somebody who prefers a matte lipstick than this spring you should check out Crosswires which is a pinky coral cremesheen lipstick from MAC. It is one of the loveliest shades to wear this season as it would look great for something that is day time chic. Since this is a creme formula, it is not that long lasting but it is still fairly easy to touch up and does not feather or bleed. I love wearing coloured eyeliners, especially the ones that compliment my brown eyes. So while I often go for purple, green and even brown, this time I picked a royal blue gel liner from Inglot. The brand has attracted a lot of hype for its gel liners but I have only worn this a few times. Though I am looking forward to incorporating it in my spring makeup routine. So far I like the pigmentation and I do find it soft and easy to pick with my brush. Though, for some reason I find it to be a tad bit oily initially but once it is on, it stays put. So this is standard black mascara but I have been loving it lately because it gets the job done without weighing my lashes down. It has a slightly wet formula but it does not clump my lashes together and also does not transfer. If you are looking for something that is lightweight and wearable for daytime, definitely pick this up. That rounds up my Spring Makeup Platter. I hope you enjoyed reading this and found it helpful. 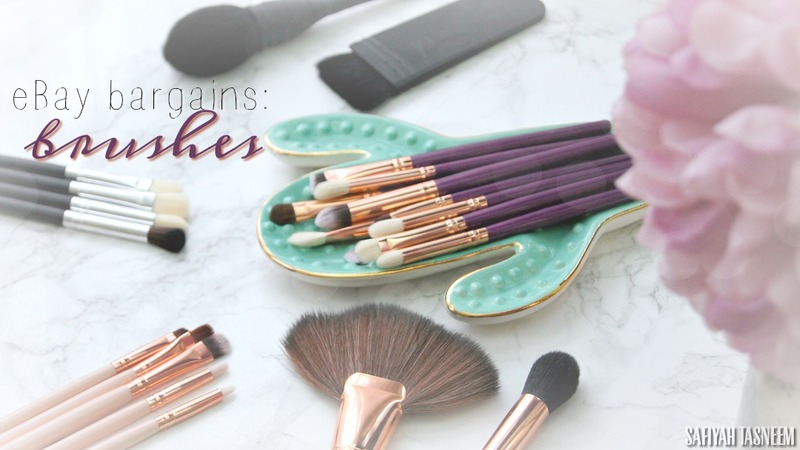 You can find the detailed reviews on most of these products on my blog. Thank you for having me over Safiyah, I am eager to watch your videos. What a lovely selection of products! 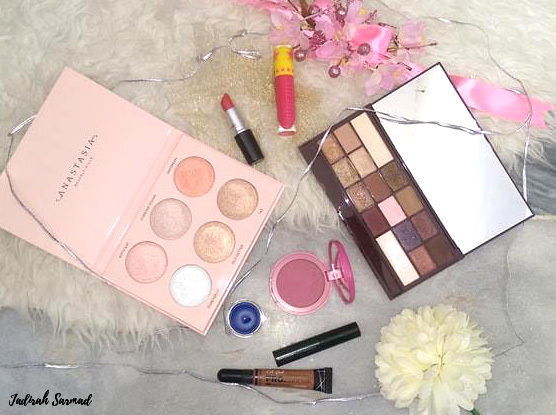 I love the idea of doing a spring makeup platter! I'm excited for all the pops of colour! Yesss, I've recently rediscovered colour again myself so want to get creative again! The makeup platter selection is very appealing. I have my eyes on the Jeffree Star liquid lipsticks. Me too after reading Jadirah's review! 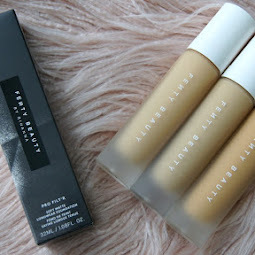 Ow some fab products here, i need a ABH glow kit! Gorgeous selection and gorgeous shades!!! 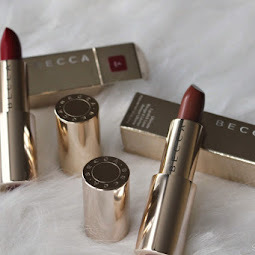 This is amazing post, i need to try Jaffree Star liquid lipsticks now.